Interesting to see that Canada's former finance minister (and prime minister) Paul Martin issuing a "stern warning" to U.S. policymakers; see here. The similarity between the current U.S. slump and what happened to Canada in the 1990s is quite interesting, and I've written about it here: The Great Canadian Slump: Can it Happen in the U.S.? I know that economists like Tiff Macklem and Pierre Fortin debated the issue some time in the mid 1990s, but I haven't really seen any work on the subject since then. If I recall correctly, I believe that Fortin was ascribing blame to the Bank of Canada, and possibly Paul Martin's "austerity" measures. Macklem (and coauthors) did not share the same view. 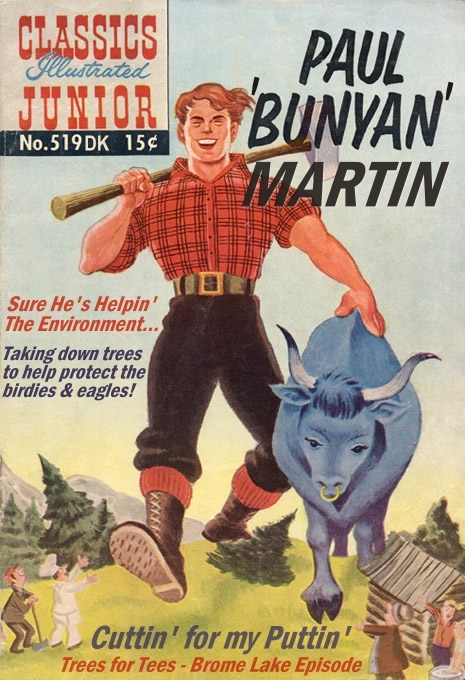 If you know of any more recent work that investigates the great Canadian slump, please pass it along. Is the Fed missing on both sides of its dual mandate? With the unemployment rate still above 8% and some inflation measures below 2%, many people argue that the Fed is "missing on both sides of its dual mandate;" see, for example, Fed Harms Itself By Missing Goals. Jim Bullard, president of the St. Louis Fed, has a different view, which he just published here: Patience Needed for Fed's Dual Mandate. 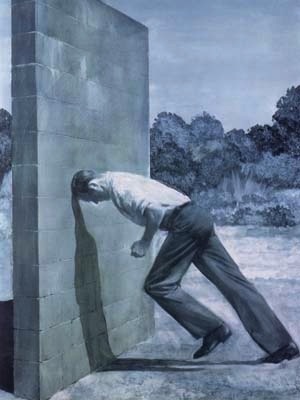 My interpretation of his critique is as follows. Now, imagine that the economy is hit by a large negative "aggregate demand shock." 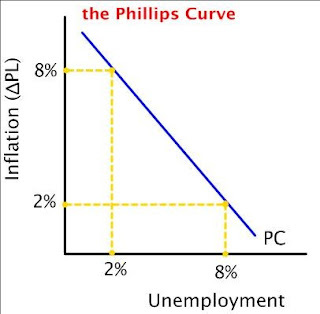 Unemployment rises, and inflation falls--there is a movement along the PC, downward, from left to right (see diagram above). Bullard's suggests that a non-monotonic transition path for inflation is unlikely to be part of any optimal policy in a NK type model. The optimal transition dynamics are typically monotonic--think of the optimal transition path as a movement back up the PC in the diagram above. If this is true, then the optimal transition path necessarily has the Fed missing on both sides of its dual mandate. Of course, conventional NK models frequently abstract from a lot of considerations that many people feel are important for understanding the recent recession and sluggish recovery. The optimal monetary policy may indeed dictate "inflation overshooting" in a different class of models. Please feel free to put forth your favorite candidate. Tell me why you think Bullard is wrong. Some interesting data here on the TIPS measure of expected inflation following the Fed's QE3 announcement (courtesy of my colleague, Kevin Kliesen). The first chart shows that the announcement had a significant impact on inflation expectations at short and long horizons. Here's the same data, together with the 10-year inflation forecast, and for a longer sample period. The impact on real yields, especially at the short end, seems significant (but let's see how long this lasts). Here's the same data over an even longer sample period. Well, since I'm writing about the K-man today, I thought I'd link up to this interesting piece by Swedish economist Anders Aslund: Paul Krugman's Baltic Problem. Seems like Krugman's little IS-LM model made a few wrong predictions too. I guess the science isn't quite a settled as he would like us all to believe. In any case, I haven't studied the Baltic region in any great detail. If there are any experts out there that would like to weigh in here, please do. My prior is that both Krugman and Aslund have some legitimate explanations for what is driving the Baltic recovery and expansion. But maybe one side is more persuasive than the other? What is the evidence? Would be interested to hear what people have to say, especially from those who know the area well. Wow, how's that for a headline?! But it appears to be true, as Diana Olick reports here. The shortage is across the spectrum, but especially in need are framers, concrete workers, plumbers, roofers and painters. The shortage is also felt most in areas where housing is coming back strongest, and permitting is easiest, like Texas and much of the West. Ms. Olick also links up to a column she wrote earlier US Homebuilders Begin to See Credit Thaw. Much of the demand is coming from potential buyers who have been shut out of the lower-priced, distressed market by avid, all-cash investors. The big public builders, almost across the board, reported huge jumps in new orders in the first half of this year. Smaller builders are still hampered by lack of credit to build and therefore meet the demand. Construction loans nearly ground to a halt after the latest housing crash. I wonder whether these smaller credit-constrained homebuilders are quantitatively important in holding back aggregate construction expenditure? 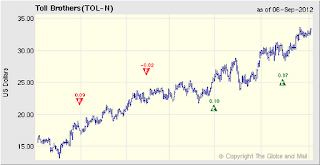 In any case, it certainly looks like things are looking brighter for the homebuilders. 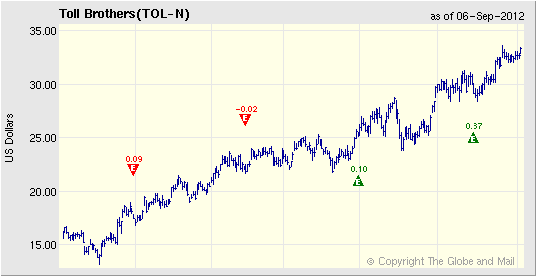 Toll Brothers, for example, is up around 100% over the past year. Have we turned the corner here? As the auto industry rebounds in the U.S. it is creating a strong demand for engineers. In fact, one recruiter said the auto industry is seeking more than a thousand engineers. The demand is so great, applicants often have multiple job offers and not just for jobs in the auto industry. A basic question in the theory of money is "why does money exist?" Or, put another way: where does the demand for money come from? The phenomenon of monetary exchange is so familiar to us that many may view the question ridiculous and/or the answer obvious. But if we stop and think about it, we'll discover that a surprising number of our everyday transactions are made without any reference to money at all. In particular, we regularly trade favors with family members, friends, and associates via implicit credit arrangements known as gift-giving economies. Indeed, the phenomenon seems quite prevalent in smaller (and more "primitive") communities throughout history. So if money is not necessary in transactions--even credit transactions--then why is it used? Monetary theorists have been asking this question for a long time. The standard answer to be found in virtually every undergraduate macro textbook is that "money solves the double coincidence problem." That is, without money, trade is restricted to barter transactions. And because it is difficult to find a trading partner who happens to want precisely what you have to sell and vice versa (a double coincidence), barter exchange is inefficient. I want to argue here that this familiar story is all wrong. (John Quiggin offers a related critique here.) Up until recently, I used to think that a lack of double coincidence was necessary--but not sufficient--to rationalize the use of money. I now question whether a lack of double coincidence is necessary at all. What does seem fundamental to the question is a lack of commitment. Kiyotaki and Moore label this friction an evil (hence, their play on Timothy, which I borrow as the title of this post). But the basic insight, as far as I can tell, seems attributable to Doug Gale (The core of a monetary economy without trust). Before I proceed, I should take a moment to define what I mean by monetary exchange. I define money to be an object that circulates as payment instrument across a sequence of spot exchanges. In the models I describe below, money takes the form of a perfectly divisible and portable income-generating asset. Equivalently, it takes the form of perfectly divisible, non-counterfeitable, and enforceable claims to an income-generating asset. It is not even important what form these claims take--they can be paper or book-entry objects, for example. The only requirement is that the claims constitute well-defined property rights (the same assumption is made by the fact of possession of a physical asset). Consider an economy consisting of 3 people, Adam, Betty, and Charlie. There are 3 time periods: morning, afternoon, and evening. There are 3 (time-dated and nonstorable) goods: morning-bread, afternoon-bread, and evening-bread. Each person is endowed with an asset--a bread-making machine. Adam's machine produces bread in the evening, Betty's machine produces bread in the morning, and Charlie's machine produces bread in the afternoon. While each person values their own production "a little bit," they value someone else's production "a lot more." 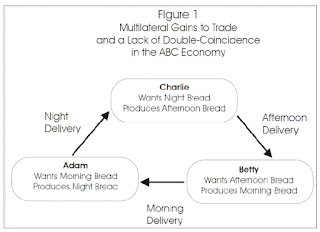 In particular, Adam wants morning-bread (from Betty), Betty wants afternoon-bread (from Charlie), and Charlie wants evening-bread (from Adam). This economy features a complete lack of double-coincidence. That is, for any pairing of individuals, there are no bilateral gains to trade. On the other hand, this economy features a triple-coincidence of wants: there are multilateral gains to trade. The efficient allocation has everyone getting the good the value highly, and disposing of the good they value less. Notice that each person is in a position to issue an IOU promising a bread delivery at some specified date (morning, afternoon, or evening). Just to start things off, imagine that our group meet at the beginning of time (just before morning) to arrange their affairs. If everyone is perfectly trustworthy, then everyone can just promise to "do the right thing" and that's the end of the story. That is, if people can commit to their promises, then monetary trade is not necessary, despite the lack of double coincidence. Suppose instead that our group is not so trustworthy. Suppose Adam takes his morning delivery of bread and consumes it, but then refuses to make his promised night-delivery (consuming it for himself)? Well, in this case, our traders could agree to swap bread-machines at the beginning of time or--equivalently--swap securities (IOUs) representing clear titles to machines and their produce. (This latter type of exchange is what happens in an Arrow-Debreu securities market). In this case too, there is no role for an asset to circulate as a payment instrument. O.K., let me now give the double-coincidence problem more bite by assuming that people meet sequentially and bilaterally over time. In particular, assume that Adam meets Betty in the morning, Betty meets Charlie in the afternoon, and then Charlie meets Adam in the evening. In each pairwise meeting, there are no gains to trade. But as long as people are committed to "doing the right thing," then this should pose no problem. In the absence of evil, money is not necessary. Conclusion: A lack of double coincidence problem is not sufficient to explain monetary exchange. A lack of commitment is necessary to explain monetary exchange. My ideas about monetary exchange and the role of exchange media in general began to evolve after reading Gary Gorton's informative paper Slapped in the Face by the Invisible Hand (I recall telling Gary that getting slapped in the face by the visible hand was no less painful, but he only laughed). I was intrigued by Gorton's description of how the shadow banking sector worked hard to create high-grade assets (e.g., senior tranches of diversified pools of mortgage debt) that ended up playing an important role in the payments system. The activity looks a lot like standard banking, i.e., issuing a set of senior liabilities backed by a diversified portfolio of assets. In standard banking, these senior liabilities (whether in the form of banknotes or book-entry items) circulate as money. The shadow banking sector's liabilities seem to have "circulated" as collateral in repo markets. The stuff sort of looked like money. 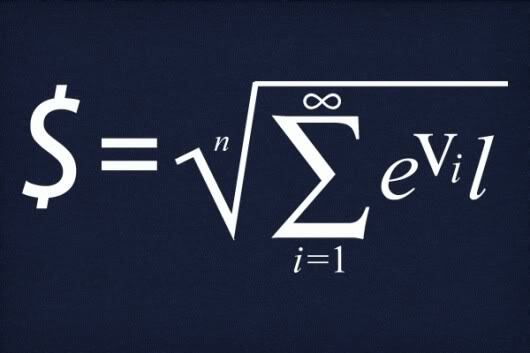 And yet, it did not seem to be solving any double coincidence problem. So here is my little model. There are only two people this time, Adam and Betty, but still 3 periods. Each person is in possession of two assets: a human capital asset, and some other asset (K) that produces some specialized product that only the original owner values. Assume that Adam is good at working in the afternoon and that Betty is good at working in the morning. Moreover, Adam wants a morning service, while Betty wants an afternoon service (so Adam is impatient, Betty is patient). Assume that the special asset K delivers output only in the evening for both parties. 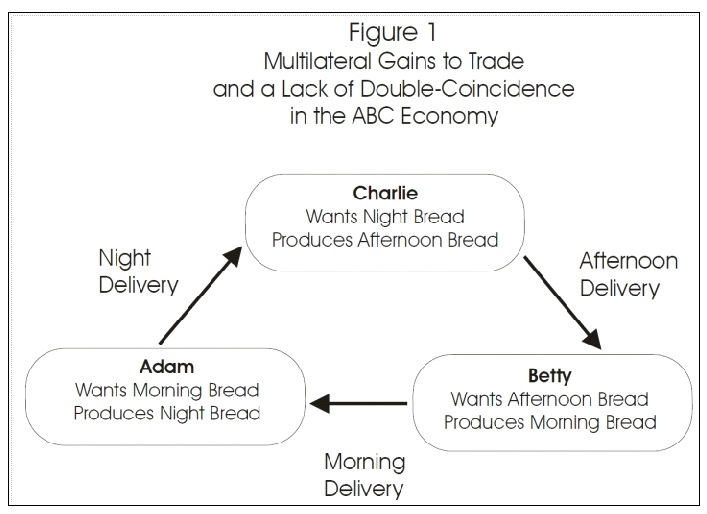 The efficient trading pattern should be clear enough: Betty makes a morning delivery to Adam, Adam makes an afternoon delivery to Betty, and then both parties retire in the evening to consume the fruit of their special asset K.
As before, if people could commit to their promises, then a credit market implements the efficient allocation: Adam borrows bread from Betty and pays her back in the afternoon. But what if people cannot be trusted to keep their promises? If I replaced "human capital" with the earlier bread machines, then a simple swap of bread machines would do the trick. But suppose it is impossible to transfer human capital in this way (indentured servitude is legally prohibited). What can be done? Well, it would seem that one solution would be for Adam to use his special asset K to pay for his morning service. But why would Betty agree to such a transfer? After all, she does not attach an intrinsic value to Adam's special asset. The answer seems clear. Betty could use Adam's K asset as money in the afternoon. In particular, she could offer to return the asset to Adam in exchange for the afternoon service she desires. Adam should be amenable to such an exchange as he attaches an intrinsic value to this special asset. Conclusion: A lack of double coincidence of wants is not necessary to explain monetary exchange. A lack of commitment is necessary to explain monetary exchange. Another way to implement the efficient allocation above is via a sale and repurchase agreement (repo) or, what amounts to be the same thing--a collateralized loan. Note that the fundamental role played by Adam's special asset is that of a hostage. Betty is saying "you better pay me back, or you'll never see your beautiful asset again!" And so, Adam and Betty might agree beforehand to a repo transaction: Betty agrees to buy the asset in the morning and resell back to Adam in the afternoon. Equivalently, Adam borrows a morning service using his special asset as collateral. In all of these transactions what is important is that property rights are transferred to Betty (the creditor). How these rights are most efficiently transferred would seem to dictate the method of payment--i.e., whether by quid pro quo exchange, a repo agreement, or as a collateralized credit arrangement. In all of these cases, the asset is playing the same economic role--it is being used to support an intertemporal credit arrangement in the absence of commitment. In this sense, we could legitimately label the asset an exchange medium, even if it is not literally circulating from hand-to-hand (it is circulating from account-to-account, however). A lack of double coincidence is neither necessary or sufficient to explain the demand for money. Evil appears to be the root of all money. The sermon is now concluded! and then he goes on to cite a WSJ report: Jackson Hole Paper: True Cause of High Unemployment is Basic Economic Weakness. I cannot find Lazear's paper at the moment, so I'm not exactly sure what he said or did not say. I'm pretty sure, however, that he did NOT say the "the problem is a lack of demand." Take a look at this interview with Lazear at Jackson Hole. So, you see what happened here. Lazear says that the problem is not structural, that it is the product of general economic weakness. The WSJ reporter, who has likely only ever been exposed to a macroeconomic principles course, has no other way to categorize what might be ailing the economy, apart from a "lack of demand." And so that's what he writes, which is understandable. But I don't think Mark should have made the same mistake. Mark's headline might have been more accurately stated as: Lazear: The Problem is Not Structural.